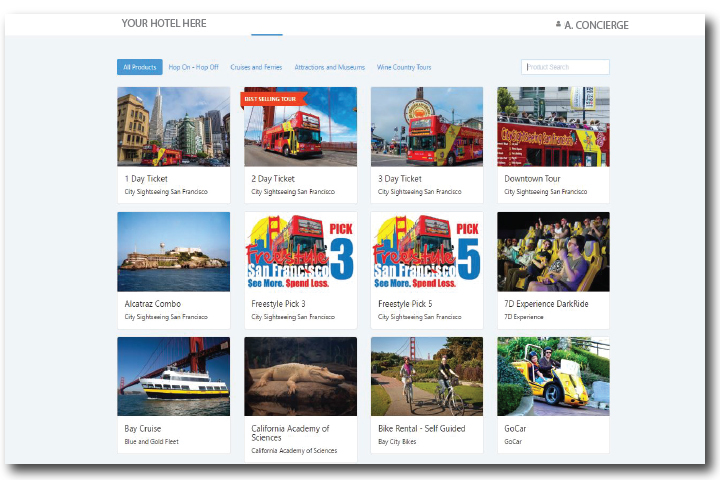 A portal for local sales outlets and concierge desks to login and make bookings on dozens of San Francisco attractions. Earn commission on everything you sell. Earn commission on: Hop on Hop off, Bay Cruises, Wine Country, Muir woods, Bike Rentals, Segway Tours, California Academy of Sciences, SF MOMA, Go Car Tours and much more.